The ratio of stress to strain is a constant characteristic of a material, and this proportionality constant is called modulus of the material. It differs from material to material, and for different nature of stresses. When the stress applied is tensile or compressive, the constant is called Young's modulus of elasticity. 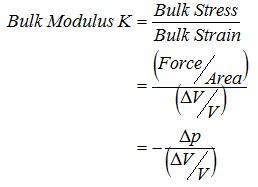 The slope of stress-strain diagram up to the limit of proportionality is called Young's modulus of elasticity (Y or E).